Robert Covington was one point off from his career high. 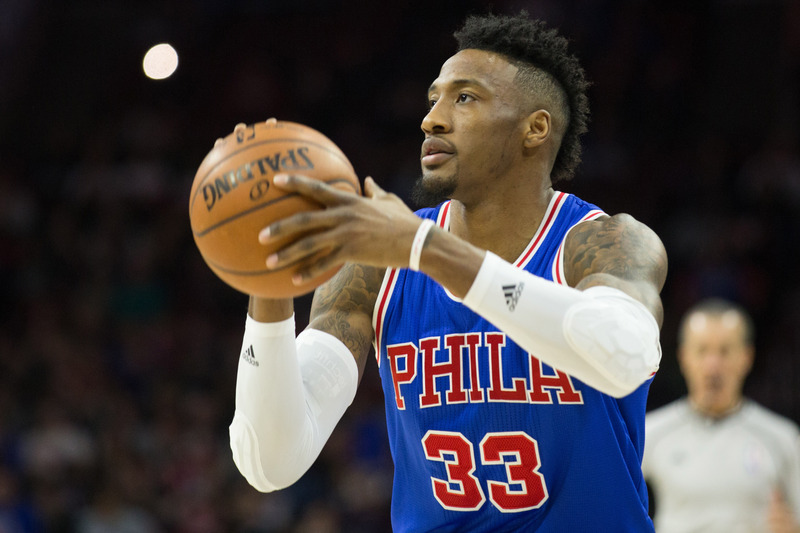 Robert Covington didn’t score a career high last night for the Philadelphia 76ers but he was close. The former Tennessee State star had 29 points in a 120-115 loss to the Wizards on Wednesday. Covington’s career high is 30 points that he scored against the Knicks in the 2015-16 season. Covington scored the majority of his points from downtown, going 7-11 on three-pointers. He also picked up seven rebounds in 29 minutes of play for the 76ers. The 6’9 Covington played all four years at Tennessee State, starting in 118 games. He originally signed as an undrafted free agent with Houston before finding a home in Philadelphia for the last four years. Heading into Wednesday’s game all eyes were focused on some of his more heralded teammates. It was the career debut of both Ben Simmons and Markelle Fultz, the two number one overall picks of the last two NBA drafts. Then there’s Joel Embiid, a budding superstar whose health has been the only limitation to his enormous potential. Covington was the biggest star of them all for at least one night, leading all scorers for both teams. But it’s one down and 81 to go for Philadelphia fans, they’ll have to continue trusting in the process.